EaseUS Data Recovery Wizard, as it names suggests, it’s a data recovery program for data loss situations. The program aims to recover data lost from deleting, formatting, partition lost, OS corrupted, virus attatcks and other situations. The program, in addition to support all storage media types (internal/external hard drives, USB drive, mobile devices, memory card, …), also supports all file types such email, media or documents. On this tutorial I am going to show how to crack Data Recovery Wizard 10.8. There are a few editions available, however, with this tutorial I am focusing on Technician edition. Just like Pro edition, it has all features, where the only difference is the license type. Check the comparasion. On this short section, I provide the files you need: the setup and crack. First of all, you need to install EaseUS Data Recovery Wizard. Therefore, you must download an executable file, which we call setup. Get it from official sources, here. The crack it’s a text file, type batch. A batch file is kind of DOS script file and contains OS commands that will be interpretated, in this case, by Command Prompt (cmd.exe) on Windows. Hit the download button to save it your local disk. By the time, you should have the .BAT file (or crack if you want to call so) and the installer for Data Recovery. You must start by installing the software, running drw_trial.exe file. Follow all the instructions, until you get Installation was successful step. Uncheck all the boxes and click Finish. Copy the .BAT file. Despite your system type, whatever you have x86 or x64 system type, browse to C:\Program Files\Ease US\EaseUS Data Recovery Wizard. Of course, if you used a custom location for the installation, you must open it. Paste the file there, like shown below. Right click hover the file, and then click Run as administrator. A command line window will open without any output. The truth is, the script is working and will take some time. It might take 2-3 minutes or even more (depending on your CPU and Disk). You don’t need to worry, sooner or later the window will close, which in other words means the script is done. Furthermore, the reason it takes so much time, is that the script it’s writing a text file that contains several license keys. Finally, you should open Data Recovery to ensure you have the Technician edition. EDIT: I also did try to re-download it for a few times. I notice lately that browsers like Chrome and some antivirus applications are blocking batch (.bat) files. Have you tried to disable your antivirus/antimalware/other for a while? Then re-download the file, crack EaseUS, and enable your antivirus again. Disabling real time protection should be enough. I am working on a solution for this, but it won’t be easy. Maybe the antivirus detects that the batch tries to edit a system file (the host file) and sets a false positive warning, blocking the file.. Thanks for the information! But I did try to re-download it, and it didn’t work. I also did try it on NetLimiter link and it doesn’t work too. I did turn off all of my Antivirus but still it doesn’t work at all. That’s so weird… I decided to use VirusTotal and any anitivirus engine reported it as a threat. On my Windows 10 PC, Windows Defender fires a false positive warning, though. However, once I disable it, I can download the file without any problem. Can you email me to hyrokumata@outlook.com ? I will attach file + send the text plain code on email body. 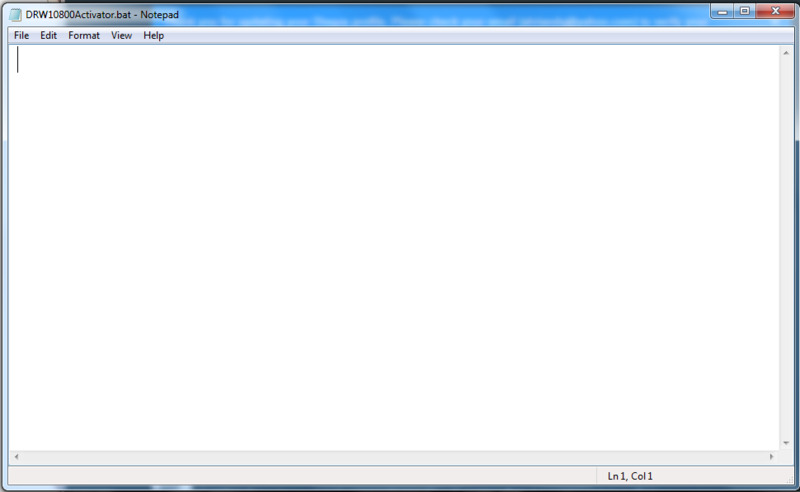 That way, you can copy and create the batch file using notepad. One more thing, I usually download files on Internet Download Manager but still no luck.